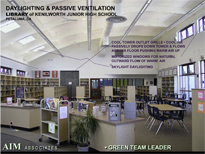 AIM Associates is the leader of the Green Team of High Performance School (HPS) consultants for the Petaluma City School District. We started our input at the beginning of the Schematic Design Phase (SDP). That early involvement allowed several major accomplishments. 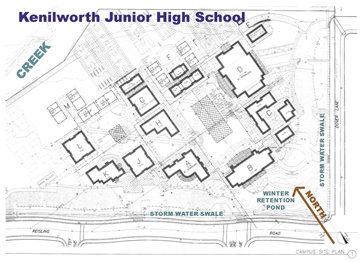 The site layout of the buildings was changed during the first site plan review from a layout based on the street grid which is forty-five degrees from north. Since it was early in the process the architect agreed to a new layout with true north/south facing of glazing. 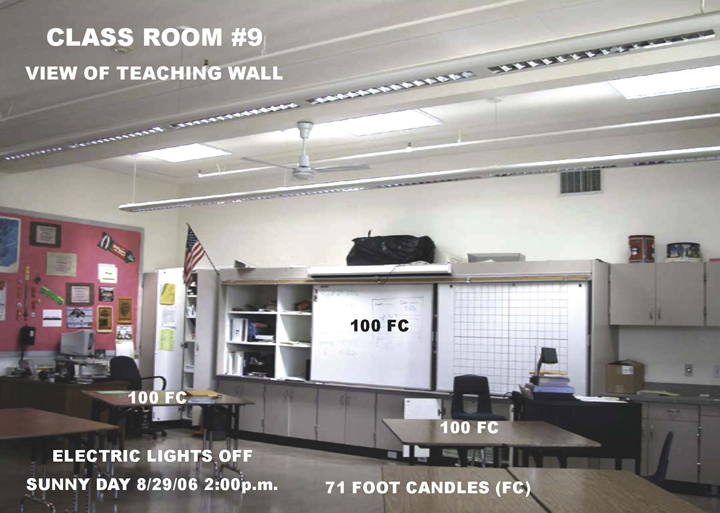 The daylighting model testing and energy use simulations of a typical classroom led to classrooms designed to be so energy efficient and comfortable that a mechanical air conditioning system will not be necessary (CA climate zone 2). 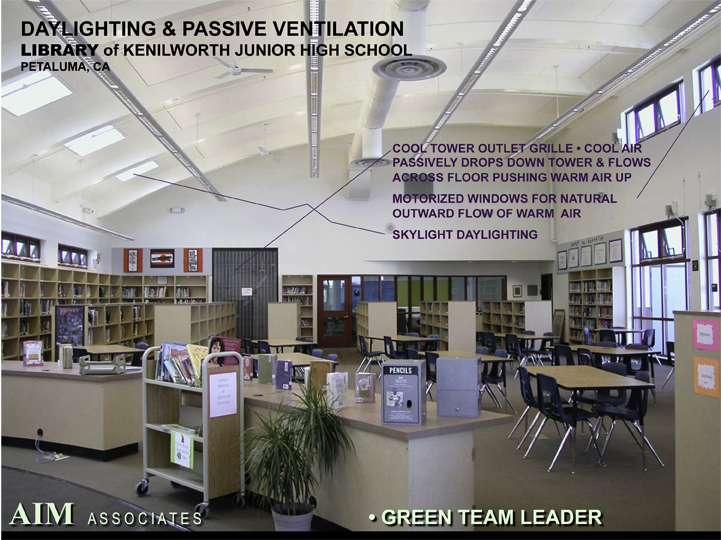 Daylight harvesting will save about 45% of lighting energy cost. The Multi-Use Room and Gym have very high ventilation rates because of the high occupancy loads. 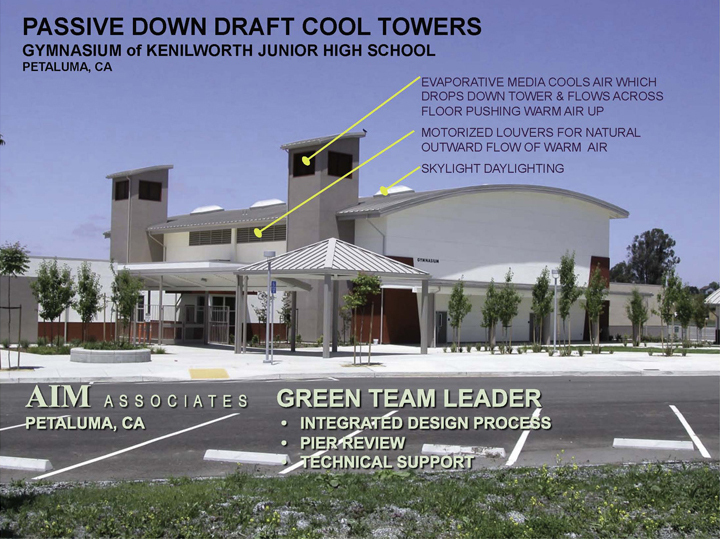 Passive down draft cool towers utilizing evaporative cooling will make those spaces quite comfortable even when it is 100 degrees outside. 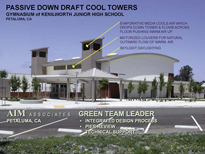 Solar heated air that would have saved 30% of the heating cost with a eight year pay back was rejected by the A/E because it would have affected the building appearance and required a redesign of the HVAC Schematic Design. The full campus energy is predicted to be 35% better than T24-2001, as confirmed by the PG&E Savings By Design Program. Indoor air quality is being improved by the carefull selection of materials and specification of construction procedures. 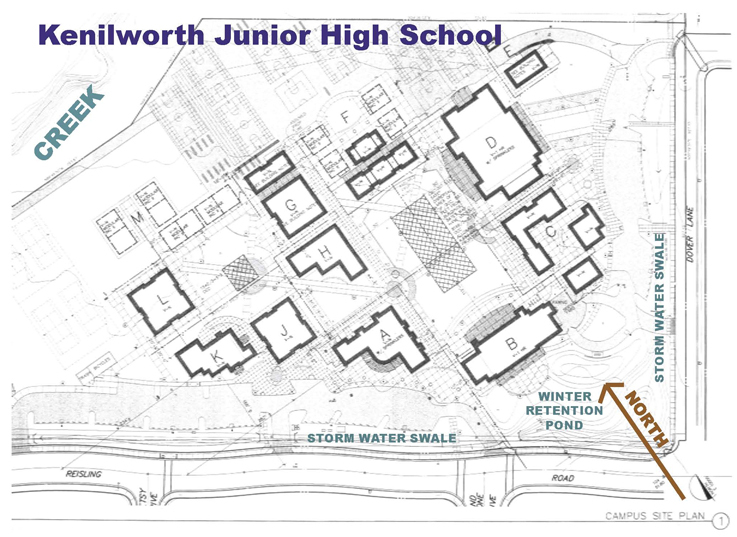 We are using CHPS (The Collaborative for High Performance School) criteria to address the many other HPS issues from storm water management to good acoustics.